It brings me immense pleasure to share that I, along with 24 other bloggers are celebrating #9daysofwomanhood throughout Navratri. I thank Veena Regit from The Reading Momster for introducing me. The prompt for today is ‘My Pregnancy ′. Hop on to her blog to read her story. Let me also take the opportunity to introduce you to Preetjyot Kaur from My Little Muffin. I love how she writes about breaking the stereotypes and raising independent girls. Do check her blog post on the prompt for today. All through the nine months of my pregnancy, I was completely paranoid. Making it to the 36 weeks mark and delivering two healthy babies was my biggest concern. However when the eventful day of my delivery arrived, to my surprise I was very calm and collected. I thought I would be apprehensive and scared but it was completely opposite. I was extremely positive and excited. I call it an eventful day because it unfolded in a totally unexpected way. Various events took place that made me experience myriad emotions. From being nervous to excited, being furious to outright silly, from joyful to teary-eyed- I felt multiple emotions all in the span of few hours. At around 6 am in the morning of 27 November 15, my water bag broke and I had to be rushed to the hospital in an emergency. In no time, I found myself lying on the hospital bed, being prepared for an emergency c-section. At around 9 am, I started to feel the labour pain. While multiple last minute tests were being performed, I was told that I will have to wait for a few more hours as no OT was vacant at that time. With those unbearable labour pains, that was the last thing I expected to hear on the earth. By 10 am, the intensity of my pains increased. I was already furious with the unnecessary delay and to top it, I was left with a nurse who was over talkative. In her attempt to divert my mind, she kept asking me all sorts of random questions- from my favorite food to the colour of my wedding dress to my honeymoon destination. At that point of time when I was already in terrible pain those questions were nothing but annoying, leaving me more agitated. Finally at 11 am, I was shifted to OT. There were lights, machines and a small table on which I was supposed to fit myself. I wanted to see closely how an OT looks but before I entered my glasses were removed and I was half-blind. I couldn’t gather much of what was happening around except for the fact that it was unbearably cold in there. There were numerous people in the room. It was cluttered with seniors doctors, junior doctors, anesthesiologist, nurses, team from stem cell banking, etc. I was just trying to make sense of the multiple noises around when suddenly I heard a male voice. It took me two minutes to digest the fact that there were men in that room too! By 11:15, the entire procedure started. Local anesthesia was given, curtain was set and all the machines around were put to start. One one hand an intravenous was put, on the other a BP monitoring machine was added. My mouth was covered with an oxygen mask and ultrasound machine was on my tummy to record the movements and position of the babies. I was told not to move at all and lie still till the doctor signals. Like an obedient student I listened to my strict teachers. Fifteen to twenty minutes in this situation, I started to feel some severe itching on my arm. One of the medicines that was given to me, reacted. I felt a terrible urge to scratch my arm, but I couldn’t move. I wanted to tell the nurse around to help me but the silly oxygen mask didn’t let me. There were 2 junior doctors standing near my hand busy cribbing about their night duties. After giving them multiple signals, to my respite one of them heard and finally came to help me out. By now, I was partially irritated and partially exhausted. I actually just wanted to sleep for sometime. I thought I will close my eyes and open them now only once I will hear my baby’s voice. But as soon as I closed my eyes, something unusual occurred to my mind. I was suddenly reminded of my shoes that I left in the doctor’s room. Since I was rushed in a hurry I was taken directly from the doctor’s room to the labour room on a stretcher and wasn’t given time to wear them. I felt silly thinking about my favourite pair of shoes and was hoping not to lose them. I tried to divert my mind, at that point. And started chanting. Around 12 noon I suddenly heard a baby’s cry. My heart beat grew fast. I was told my girl had arrived. The nurse brought her near me. Next minute, I heard another cry. And it was of my boy. The nurse brought him too and placed him on my chest. For next few seconds I just kept admiring the two most beautiful creations of the world. I was excited to the point that I didn’t realize when tears started rolling down my eyes. The sisters took my babies away while I was getting prepared to be stitched. I eagerly wanted the entire procedure to get finished soon because I was excited to see my babies again. But to my hard luck, I had to wait in OT for the next 4 hours. I had a a problem of keloids and so a special cosmetologist was arranged to close my stitches. Apparently that cosmetologist went on lunch at that time and came back after 2 hours. I was infuriated again because I wanted to hold my babies and hug them tight. Finally I was shifted to the recovery room at 4 pm. I stayed in the recovery room as doctors wanted to know the reason of the unexpected itching that occured in the middle of the operation. It took them 3 more hours to diagnose its reason and prescribe a cure. I couldn’t wait more to meet my babies. I almost cried in front of the nurses to either let me go or bring my babies here. It was then they told me that my babies are shifted to NICU. And I can only meet them the next day. How was your eventful day of delivery? Do share it in the comments below. 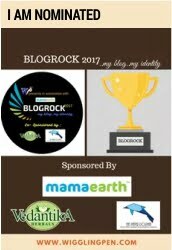 This blog is a part of the #9daysofwomanhood blogathon where 25 bloggers have joined hands to celebrate the essence and strength of Being a Woman! Aww.. I felt so helpless that time! Lovely story… And same pinch.. My sons birthday is just the day before mine!!! I already have read your Birthday 2015 post and was curious to know your delivery day story! I think a mother can only feel this situation and its almost same for me also. I was quite excited on that day, it was 24th Sept 2014 just after Mahalaya.I didnt ever see OT so was observing everything curiously and a medicine caused itching for me also.By God grace, everything was perfect and I delivered a baby boy. He is now 3yrs old and I am a proud mom 🙂 I think carring twins specially during the last weeks of pregnancy is already difficult job.But mothers can do anything for the sake of babies :). Very well written and I can connect myself also. Thank you for the kind words, Sayeri, This really means a lot. Charu it was such a gud read and hilarious too… specially the shoes part😜😜😜… but yes delivery days are the most memorable one and we as mothers remember the second by second events that happens for whole of our lives…. I was so hooked reading it and I could visualise everything as if I am watching a movie that too a thriller one….very well written. Reading your blog brought back my memories of the OT ..the small table, the beeping sound of the bp monitor, canola on both hands. I had c-sections and I can never forget the pain of a huge needle getting into my spine for anesthesia. But all the pain and misery was worth it. 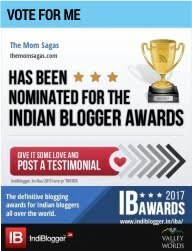 Loved reading your blog, Charu. Good one. I can understand how you would be feeling when your twins were in NICU. Mine was a normal delivery but I also got to see my son after 5 hours of hid birth. In the mean time, each of the family members got his/her snap clicked with the baby. And a long queue of visitors made me go mad. Nice to read this beautiful blog. Hey did you get your shoes back ? Thanks Shipra. The situation indeed was tough but am glad things turned out good at the end, I, thankfully, did get my shoes back after 3 days, The nurses were nice enough to keep them safe in their changing room.